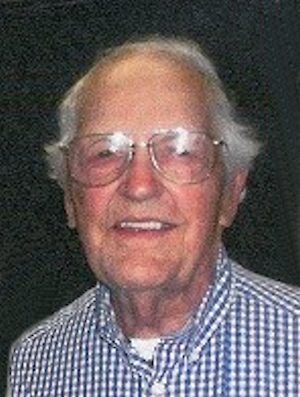 Obituary – Groom Jr., Matthew Duke « Perry High School Alumni Association, Inc.
Matthew D. Groom, 94, of Oklahoma City passed away on April 29, 2018. Matt was born on July 27, 1923, the seventh of 10 children born to Matthew D. Groom Sr. and Ethel F. Greening Groom who lived on the Groom Ranch south of Perry, OK. His grandparents entered the “Cherokee Outlet Run” Sept. 15, 1893. He was known for his zest for life, fortitude and determination to assist others for a happier and better quality of life. As a child he attended a one-room rural school on a hill named Pike Peak through the 8th grade, then rode the school bus four miles to Perry High School. Perry High was known for its state wrestling Maroons. Matt was one of the Maroon’s team. He was also a member of the FFA Livestock Judging team. Matt joined the military on Dec. 7, 1942 while attending Oklahoma A&M College, now Oklahoma State University. He continued his education in engineering after basic military training in Texas, attended the University of Kentucky and Cincinnati University in Ohio, the Schools of Engineering before further training in 14th Armored Division at Ft. Campbell, KY and then being deployed to the European Theater of Operation in September, 1944. There he performed honorable service in 14th Armored Division Combat Engineers and Medical Battalion 7th Army in France and Germany. He assisted in liberating prisoners from the German concentration camp at Dachau; which is near Munich, Germany. Decorations for Heroism, meritorious services in combat zones after the Battle of the Bulge in addition to Theater Metals. Matt received two bronze stars during his service. After victory in Europe, Matt was transferred to Oklahoma 45th Division for deployment via stateside to Asia for the Japanese Invasion. After his honorable discharge, he returned to Oklahoma A&M, graduated, and returned to work for the Department of Defense in logistical service, as a civilian, in support of troops in Far East, Okinawa, Laos, Thailand, Philippines, Taiwan, Republic of China, Japan, Guam, Hawaii, South Korea and Vietnam as well as United States Military installations in all 50 states. Matt coordinated logistical support to Gen. Curtis LeMay and retired in 1979. Earlier he had met Minabel Elizabeth Hackney, daughter of Hugh P. and Minabel A. Hackney of Oklahoma City. They were married on October 21, 1952. They traveled together for 57 years. Minabel was a member of the First Baptist Church of Oklahoma City after joining in 1933. Matt was a member of the First Methodist Church of Stillwater. After retirement, Matt started his second venture in real estate, Oklahoma Oil and Gas explorations and healthcare. He was a wonderful and caring husband and family member who improved the quality of healthcare for his loved ones and many others. Matthew was predeceased by his parents; wife, Minabel E. Hackney Groom and most of his siblings. He is survived by two brothers, Keith L. Groom (Betty) of Enterprise, AL and Lynn W. Groom of Perry, Ok, along with many nieces and nephews residing throughout the nations. A Celebration of Matt Groom’s life will be held at 11:00 a.m. Saturday, May 5, 2018 at Hahn-Cook/Street & Draper Chapel. Interment will follow at Memorial Park Cemetery.